Firstly, let me state that we value your honest feedback as published and unpublished writers. Beta-readers according to the definition on Wikipedia, are non-professional readers who read written work, generally fiction, with the intent of looking over the material to find and improve elements such as grammar and spelling, as well as suggestions to improve the story, its characters or its setting. One of my good friends happens to also be my beta-reader. As a book enthusiast who reads a lot and specifically enjoys African fiction, she has gladly read each one of my manuscripts this year, that I have requested her to read and offered her feedback at the end. As an unpublished writer, I sometimes cannot help second guessing myself. I also must admit that negative feedback concerning my written work is usually the hardest to take. And yet I’m the kind of writer who has on certain occasions, requested someone I was not well acquainted with, to read my work. There is always that hope that they may like what they read and offer tons of praise and encouragement, right? Wrong. On most occasions, when I have asked this particular category of people to read my work, their feedback has been_Um_ not necessarily positive or just a tad bit positive. I am human and to hear someone I have requested to read my written work, who seems conversant with literary stuff, tear down my writing, only serves to heighten my insecurities. I find myself wondering whether the feedback would have been different, had they known me better, perhaps as a friend or a published writer. But then it is not always a guarantee for people who know you very well, to always have positive things to say about you. My mum used to be one of my initial beta-readers. Mum does not have a background in writing but since at the time, I was just starting to come out of my shell as a writer, she was generally the closest person I could somehow trust with my work. Mum has witnessed some of my moments of disappointment in writing. She has seen me being taken round by Editors when I was trying, albeit unsuccessfully to get into Print Media as a columnist. She has offered her advice, her encouragement and blessing concerning my writing. Funnily enough, every time I shared my manuscripts with mum, she would always have an issue with the names of my characters. It would start from sentence one. That was basically her only critique which I rarely agreed with simply because, it never made sense why she wanted me to change the names I had chosen carefully, for my characters. And in as much as mothers mean well, I realized soon enough that I needed a beta-reader, who would delve deeper into my written work and offer more solid feedback, rather than quickly pointing out that they did not like majority of the characters’ names. I ceased sharing my manuscripts with her, although I would gladly share my published books with her someday. The title of my post happens to be a request to beta-readers and with good reason. I understand that many times you have our best interests at heart. You would really like us to improve our writing and plots. But as a writer who has experienced beta-readers bashing her work in the past, I would suggest that you purpose to always start with the positive feedback, before you get to the negative feedback. Also, drop the comparisons. The worst thing you can ever do to an upcoming writer requesting your feedback, is to compare him or her with an established writer. I personally believe that every single writer has a different writing style. We can never be the same in our prose delivery. The common mistake that some (or many, depending on individual experience) beta-readers make is the constant desire to quickly point out the mistakes. Not only does this crush the writer, but equally makes him or her believe that all their efforts have amounted to nothing, if the number of mistakes in their work are that glaring to readers. So much that when the positive feedback follows, it hardly sounds genuine enough. More like a consolation for the otherwise crappy piece of work, they have slaved away to come up with. Writing is not easy, I kid you not. And I’m sorry to say this, but I bet there are many aspiring writers who have given up, after receiving feedback from a beta-reader delivered in this manner. Understand that it takes a lot of courage for any writer to share their work with someone else. Our writings happen to be some of our deepest thought processes. Therefore, the best way would be to first mention the positives, no matter how little before you proceed to what you think needs to be changed. 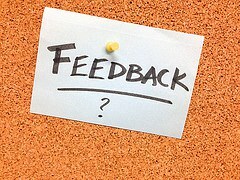 The message it passes to the writer is that, you appreciated their efforts in seeking opinion from you in the first place and are well meaning, on the aspects you would like them to change or improve on. Remember, even the writers with the most mistakes in their work, have a potential to improve their written work.